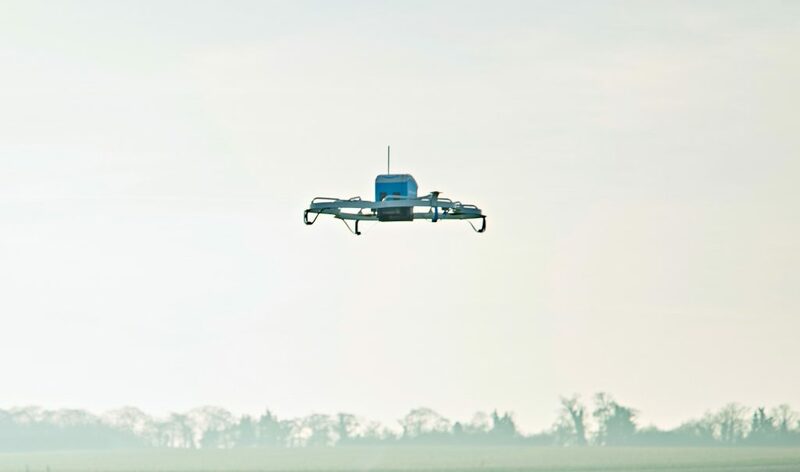 We’ve all heard by this point that Amazon is working hard to deliver your next package using a drone. As logistics and legal continue to hold up the project, it seems Amazon had a new idea for final package drop off – literally dropping them off. Don’t worry, your package would soar to the ground safely under a small canopy. That’s right, parachutes. We’re working off of a patent application here, so I wouldn’t expect to see falling Amazon boxes right away. However, the idea is intriguing and at least one test flight and drop has occurred. Getting into the technical, an Amazon drone would not just buzz over top, releasing retail sales parachute bombs on unsuspecting masses. The patent includes autonomously controlled descent. 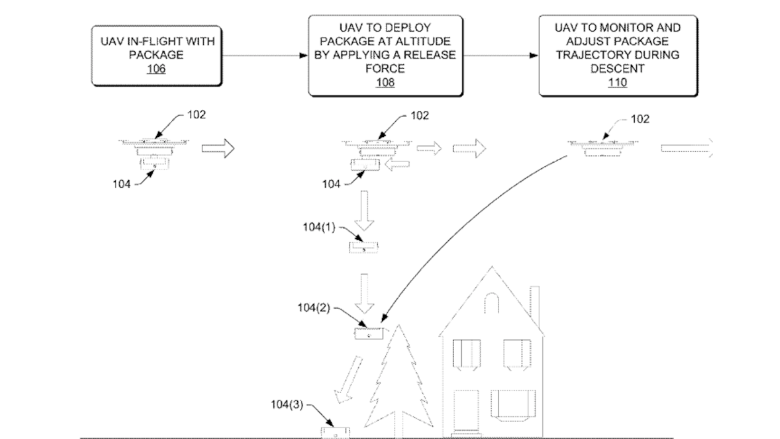 That is, the drone would stick in the area as your parachute drops, guiding the package by means of unspecified methods, possibly including compressed air bursts or additional steering canopies. A test flight and drop took place in a sparsely populated area of Cambridge, UK. We assume that the project has seen some air time in Amazon’s R&D testing areas as well, but with laws the way they are in the US, the FAA is certainly making a full roll out of Amazon delivery drones a difficulty thing. Aside from the commercial rules, not to mention autonomous piloting, dropping things from drones is frowned upon. That said, Seven Eleven is in the same boat, and going strong with their drone delivery testing. We look forward to these major corporations helping pave the way for more relaxed drone use laws for us individual pilots. Given the chance, would you trust a drone to drop your next Amazon delivery by parachute, or is this taking things too far?